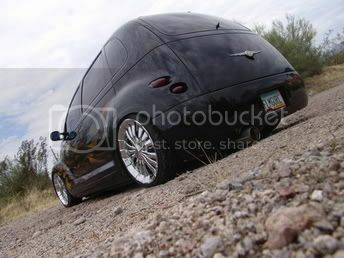 Voting has begun on the 2006 PT Cruiser Calendar Contest. Here's the link to see 87 great looking PT's and they are looking for your list of your favorite top 10. P.S. If you happen to have a spare vote...No#77 isn't a bad lookng PT. Do you have a link to whoever it is I have to sleep with to get my Cruiser in the calendar? The deadline for entering the contest was 15 Sept. Now it's up to whoever votes to pick the winning entries for the calendar. Anyone can vote by just going to that site, you don't have to be a member of PTE. I'm in as well, with a "few" of my friends in #80. WOW! [8D] There are some great-looking car photos submitted this year. [^] It will be difficult to select the "top 10". [:0] However, think I will be sure to vote for #27!